Interaction with industry players and communities a vital part of SANRAL’s Horizon 2030 strategy. Progress Hlahla said he understands there are high expectations about SANRAL’s future plans within the built and engineering environments – especially among small- and medium-sized contractors. Progress Hlahla, recently appointed as the new manager of the South African National Roads Agency (SOC) Limited’s (SANRAL) Northern Region, is looking forward to engaging with professional bodies, contractors, small- and medium enterprises and communities on the impact of future projects. SANRAL intends to extend its consultation and communication with industry players in the built and engineering environments to ensure a greater understanding of its strategic objectives. Hlahla’s appointment comes at a time when SANRAL has adopted Horizon 2030, a new long-term strategy to redefine its objectives at the start of its third decade as the agency responsible for the design and management of South Africa’s primary road network. SANRAL has also just completed a stakeholder roadshow across all nine provinces during which it explained the aims of Horizon 2030 and its plans to accelerate the transformation of the construction and engineering sectors. Hlahla said he understands there are high expectations about SANRAL’s future plans within the built and engineering environments – especially among small- and medium-sized contractors. “SANRAL’s role goes beyond road design, engineering and project management. Roads are a public good because they unlock economic value within the country and the region,” said Hlahla. Hlahla says his first objective is “to get a bird’s eye view” of all SANRAL projects in the region and to interact with his colleagues in the Northern Region. “I am very fortunate that I will be working with a great team. My role is to create an environment where we can all participate meaningfully to achieve shared objectives,” he said. Through effective communication and consultation SANRAL wants to ensure there is a greater understanding about construction projects, especially among communities affected by new or upgraded roads. “The last thing we want to see is that a project is stopped or delayed because of a failure to communicate. We have to talk to communities and industry participants and inform them about where a specific project fits into SANRAL’s broader strategy,” said Hlahla. Hlahla realises there are great expectations from SANRAL in terms of job creation, transformation and the generation of opportunities for emerging contractors. These aims are also highlighted in the agency’s transformation strategy. “SANRAL is governed by legislation, including the Public Finance Management Act,” he said. One solution might be to package future projects differently, in ways both large and small contractors and communities can participate in projects without compromising quality. These are among the issues that Hlahla wants to discuss in his future engagements with industry players and professional bodies in the construction, engineering and transportation sectors. Hlahla, a professional engineer with wide experience in construction, road network planning and transportation, succeeds Ismail Essa, who was appointed as SANRAL’s Transformation Manager. 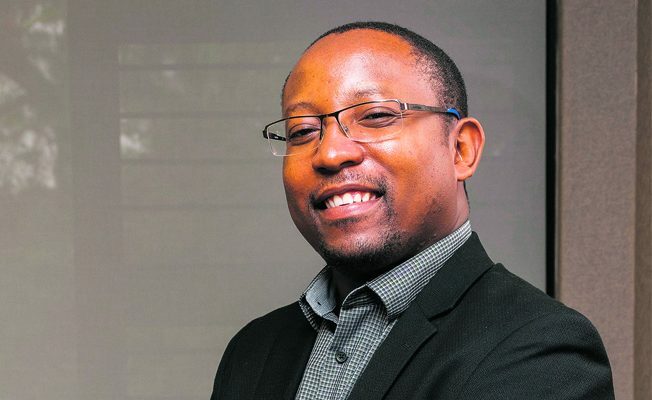 The 34-year old, who holds a Master’s degree in Project and Construction Management from the University of the Witwatersrand, now heads up SANRAL’s operations in Gauteng, Mpumalanga, Limpopo and the North West. Prior to joining SANRAL in 2016, Hlahla gained extensive experience in the broader engineering and construction fields. He served as Deputy Chief Engineer in the Gauteng Department of Roads and Transport, participated in transport planning for the 2010 Soccer World Cup and was involved in the Gauteng Freight Implementation Strategy. During his career in the private sector he was the project leader for the Polokwane bus rapid transit system and oversaw projects on the Gautrain network and Greenpoint Stadium, as well as projects in Zimbabwe, Mozambique and Zambia.